As an international business attorney, all types of cases cross my desk. A good part of my practice involves international litigation. The cases range from simple breach of contract disputes to a complex trademark infringement proceedings. While both domestic and international lawsuits (where one or more parties are located in another country) look very similar, the key difference lies in the “jurisdiction” section of a complaint. This is the section that can bog down a case for many months—years in some cases—as the parties argue over forum selection clauses, form non conveniens and other jurisdictional issues. It can be intimidating and highly technical. That’s why I take the time to go over each section of a complaint with my clients–whether plaintiff or defendant– and explain to them the significance of each section. The simple lesson leaves them feeling empowered and in control. In short, it brings them peace of mind. I think that’s what clients are really looking for. And when it comes time to respond to the complaint, the client will be in a better position to understand the defensive position—whether a motion to dismiss or an answer. To simplify things I have broken the complaint into 8 essential parts. A lawsuit has 8 Essential Parts. To illustrate how these parts come together, I’ll refer to the famouse case of Apple v. Samsung. Back in 2011, Apple successfully sued Samsung for infringing upon the iPhone’s patented design, including its rectangular front face with rounded edges and grid of colorful icons on a black screen. Samsung appealed and the case progressed all the way to the United States Supreme Court, which recommended that the U.S. Court of Appeals reconsider the damages amount that Samsung owes. The trial has since returned to the U.S. District Court in Northern California where it began. A five-day retrial has been scheduled for between May 14, 2018 and May 18, 2018. While I am not a California attorney, I’ve used the Apple case to illustrate how these parts all come together. The principles are largely the same throughout the U.S. court system. The cover page of an international business lawsuit, like other kinds of lawsuits, includes important details of the case such as the name of the parties and the court in which the action is filed. Other important details include the causes of action, identifying case number and whether a demand for jury trial has been made. This section gives a summary of what the case is about. More details will be provided later in the complaint in the “background” section. This sections identifies the parties and where they are located. This is important for jurisdictional purposes. I’ll go over jurisdiction in the next section. This section is particularly important in any international litigation. The plaintiff must state the jurisdictional basis for filing the action. The term jurisdiction can be best understood by being compared to “power.” Any court possesses jurisdiction over matters only to the extent granted to it by the Constitution, and/or legislation of the State in which it sits. Subject matter jurisdiction is the court’s authority to decide the issue in controversy such as a contracts issue, or a trademark infringement issue. State courts have general jurisdiction, meaning that they can hear any controversy except those prohibited by state law (some states, for example, deny subject matter jurisdiction for a case that does not involve state citizens and did not take place in the state) and those allocated to federal courts of exclusive jurisdiction such as bankruptcy issues. Federal courts have limited jurisdiction in that they can only hear cases that fall both within the scope defined by the Constitution in Article III Section 2 and Congressional statutes. Venue is not to be confused with “jurisdiction,” which establishes the right to bring a lawsuit (often anywhere within a state) whether or not it is the place which is the most convenient or appropriate location. For civil cases, venue is usually the district or county which is the residence of a principal defendant, where a contract was executed or is to be performed, or where damage occurred. However, the parties may agree to a different venue for convenience (such as where most witnesses are located). Sometimes a lawsuit is filed in a district or county which is not the proper venue, and if the defendant promptly objects (asks for a change of venue), the court will order transfer of the case to the proper venue. The bulk of a lawsuit is typically found here. This section serves to lay the foundation and educate the judge on all pertinent facts of the case. In highly technical cases like this one, it is not unusual for the background section to span 20 pages or more. In this section, the plaintiff alleges all the laws that the defendant(s) has violated. Here, Apple has alleged 16 causes of action. 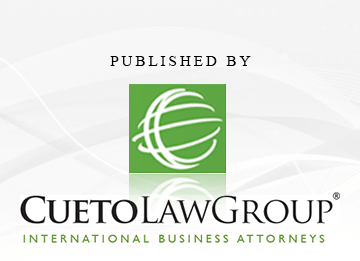 This is on the high end of the number of causes of action generally included in an international business lawsuit. Here, a plaintiff sets forth what it wants the court to do. The relief requested can range from an injunction (an order issued by a court ordering someone to do something or prohibiting some act) money damages, punitive damages (awarded in a lawsuit as a punishment and example to others for malicious, or particularly fraudulent acts) or an award of attorneys’ fees, among other types of relief. At the end of a complaint, a plaintiff has the option to demand a jury trial. A jury trial is a trial of a lawsuit in which the case is presented to a jury and the factual questions and the final judgment are determined by a jury. This is distinguished from a “bench trial” in which the judge decides factual as well as legal questions, and makes the final judgment. While being involved in an international business lawsuit can be intimidating, understanding the essential elements of a legal complaint will give you some peace of mind knowing that you’ve got a better handle of things. For those of you interested in viewing the lawsuit in its entirety, I’ve included a full copy of the complaint below.